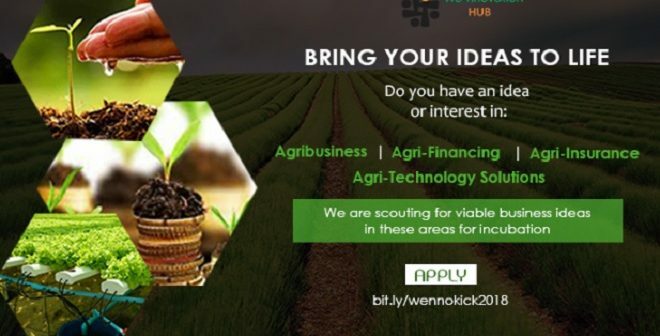 The Lagos-based Wennovation Hub has launched its Agri-Tech Incubation Programme, which provides training and mentorship to agri-tech startups plus the chance to gain US$15,000 in funding. 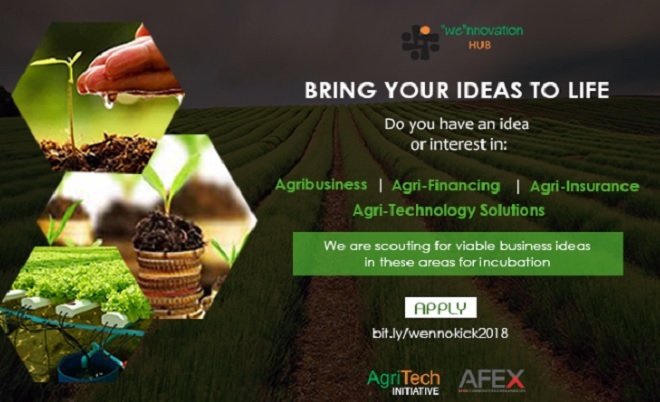 The six-week programme, which is being run in partnership with LoftyInc Capital Management and Africa Exchange Holdings (AFEX), is looking for ideas and tech-based solutions in any sector of agriculture. Startups will be provided with workspace, a developer toolkit, access to local and international networks and six months of mentorship. The best three peer-selected startups will be provided with US$15,000 in funding.